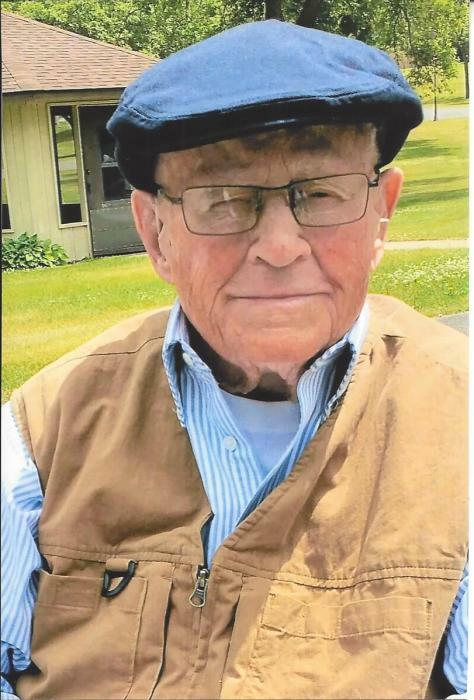 George loved to work and enjoyed his employment as “Meat Cutter” at the Willmar State Hospital, Kandiyohi County Deputy and Water Sheriff, and school bus driver all simultaneously for over 30 years. One of his greatest rewards, he would say, was reviving drowning victims. George was preceded in death by his first wife, Merlaine (Peterson) of Sunburg to whom he was married for 32years; second wife, Phyllis (Gutormson) of Spicer, to whom he was married for over 9 years; and his last love, Jacki Jeffords of Spicer, with whom he enjoyed traveling, grilling, and family time for many years. He was also preceded in death by his parents, a brother, a sister, and a step-daughter. George is survived by his children: Grant (Carol) Couleur, Laurie (Dennis) Smith, and Marnie Collins; 9 grandchildren; and 8 great-grandchildren. He is also survived by his step-daughters: Kathy (Jim) Ahrens and family and Linda Rosenquist’s family, and by Jackie Jeffords’ children and grandchildren. A special thank you to the staff at GlenOaks Care Center in New London, who made George Feel like he was part of a close community and also all of those at Rice Hospice.